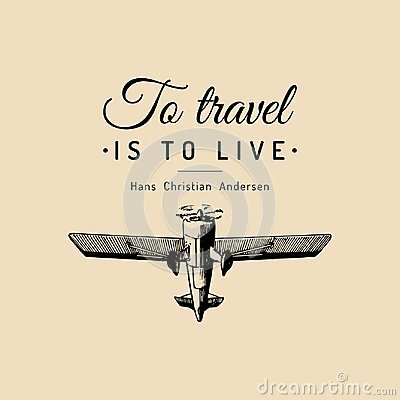 Vintage retro airplane poster with To travel Is To Live motivational quote. Hand sketch aviation illustration in engraving style. Vector typographic inspirational card. Rose Tattoo. Vector illustration art. Vintage engraving. Vintage style. Traditional art tattoos. Water wave, fire, cloud line vector. Triangle shape rules of Thai art.